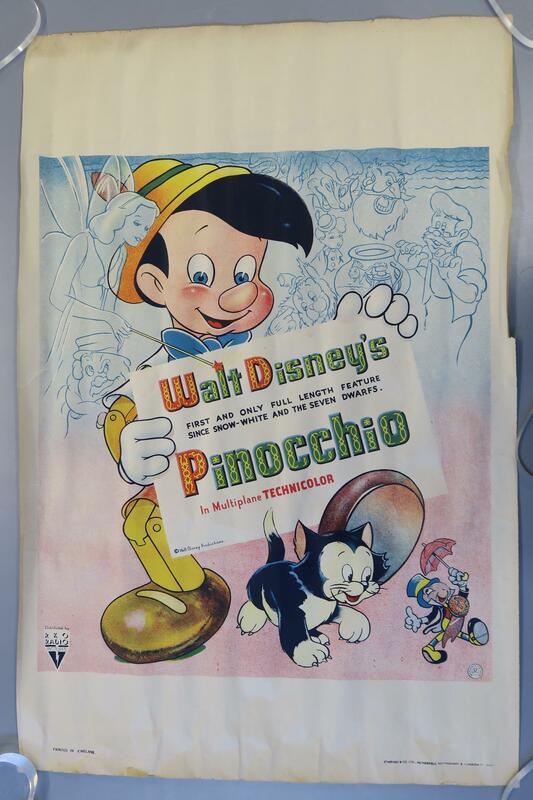 Pinocchio (1940) Walt Disney Productions extremely rare first release British double crown film poster featuring stone litho printing giving a warmth of colour preferred by many to the American one sheet. 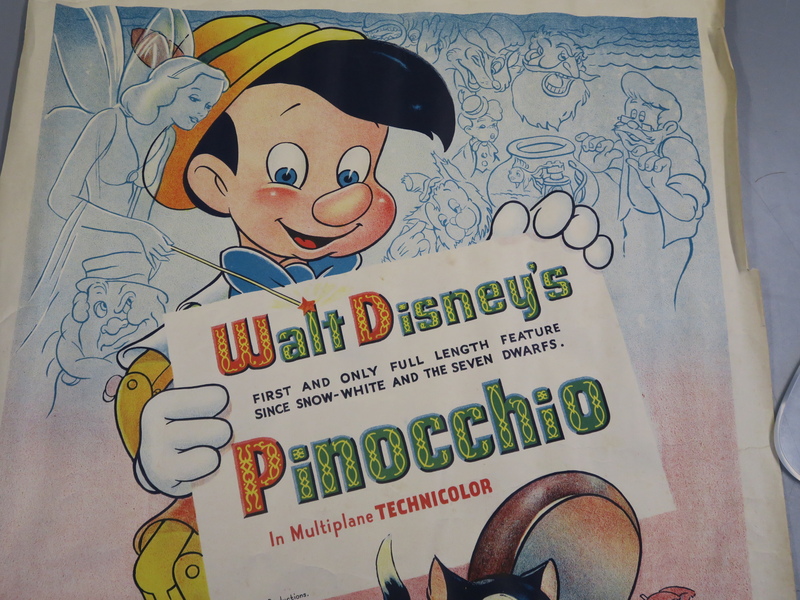 The poster includes the wording "First and only full length feature since Snow-White and the Seven Dwarfs." 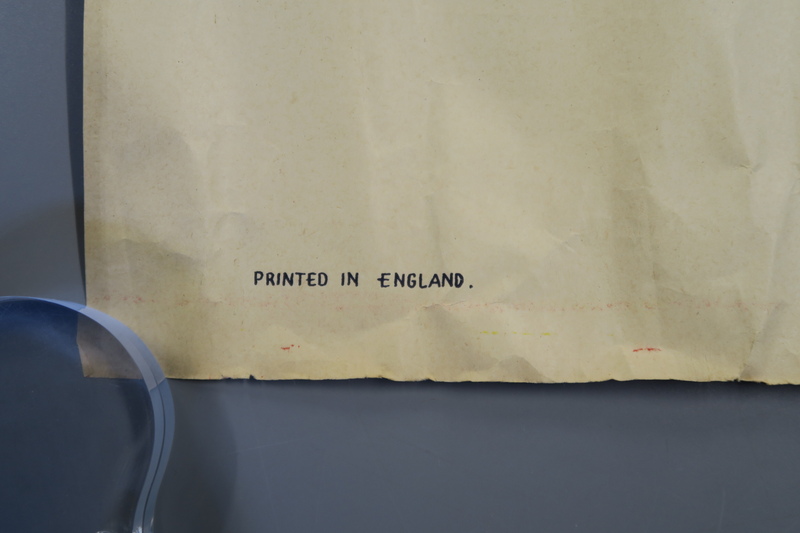 and "In Multiplane Technicolor" complete with the threepenny bit U certificate British Board of Film Censors logo. 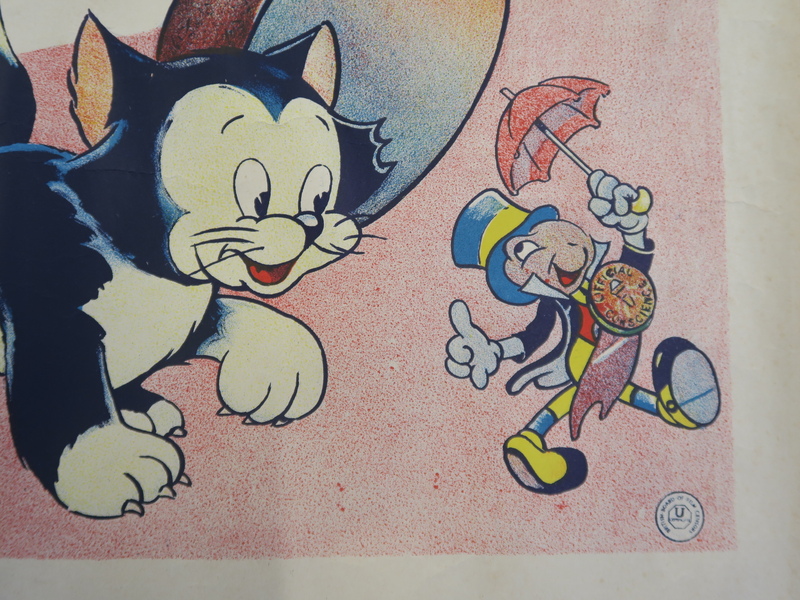 The characters featured are Pinocchio, Figaro and Jiminy Cricket in full colour with a gorgeous blue hue for the Blue Fairy and the supporting characters including Gepeto, Cleo, Stromboli etc, printed in England by Stafford & co. Ltd., Netherfield, Nottingham; & London No 5543A measuring 20 x 30 inches. 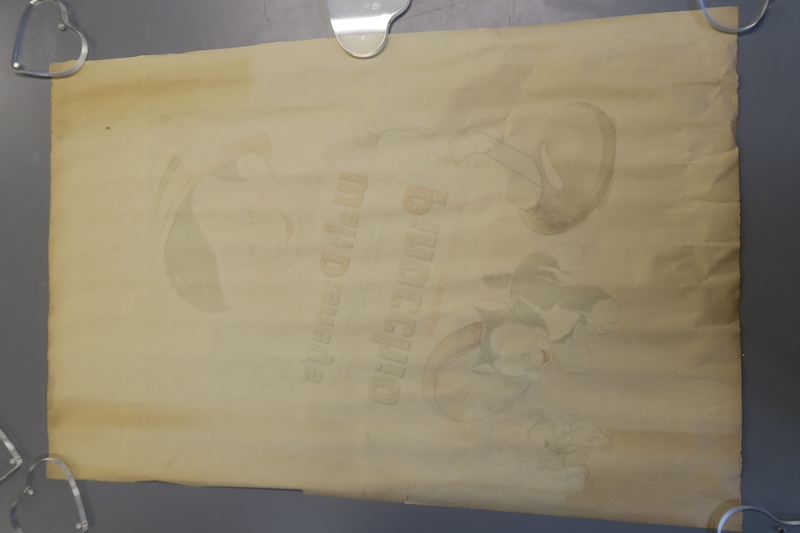 (1)Condition - This paper poster has never been folded and has very good depth of colour. There is a closed border tear of 1 1/4 inch not affecting the artwork together with a few smaller tears on the right border. 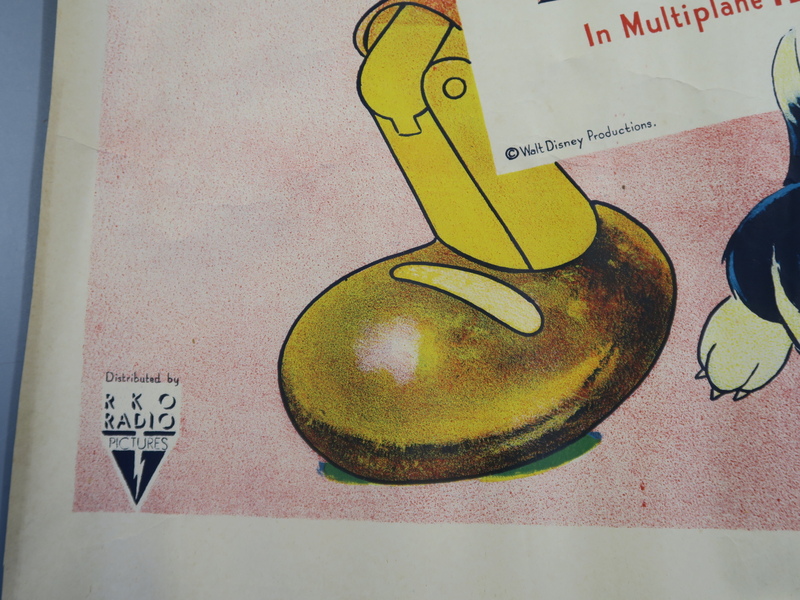 Amazing condition for a film poster from 1940. 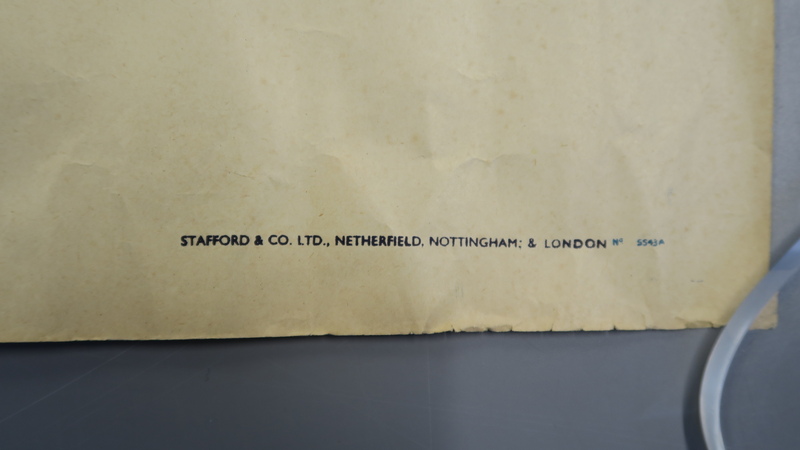 Lot 105 THE STRANGLERS signed poster from the Salzhaus in Winterhur, Switzerland, measuring 16.